You need to MEET her to MARRY her! 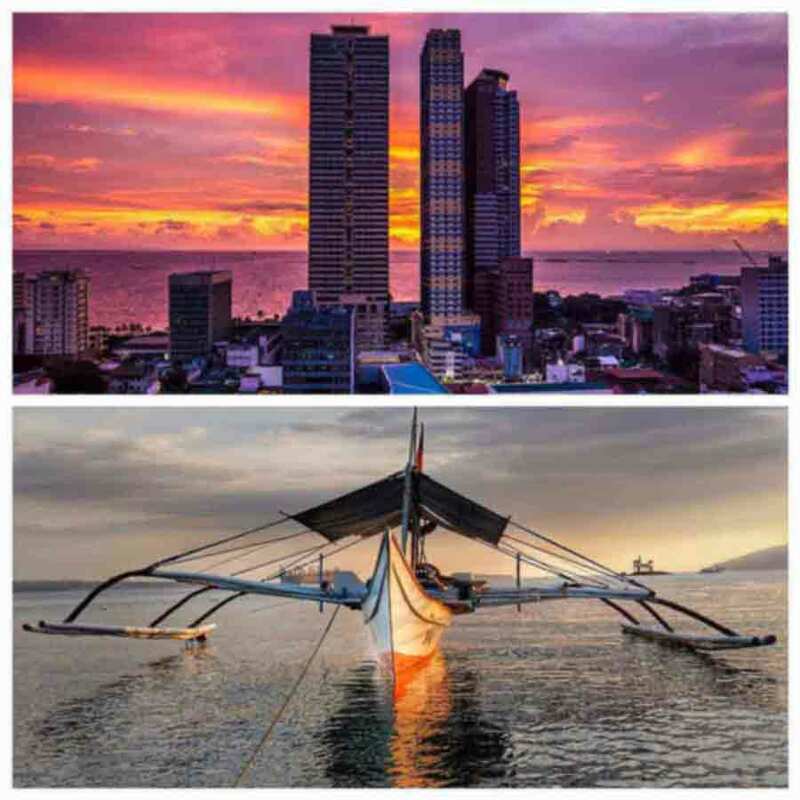 Join our romance tours to the Philippines to meet your Filipina bride. The search for a loving bride is a long process of elimination. Narrow your search to one of the best brides that you will ever find, the Philippine Women. At first glance, single Philippine ladies would make heads turn with their stunning appearance. Unlike western ladies, these women have darker skin tones making them look sun-kissed all days of the year. Their bodies are often petite in size, having some of them look toned and sculptured. Their physique truly makes them stand-out among other ladies. What truly makes them the best brides is their nurturing nature as a person. When you marry a Filipina woman, you can expect to have a lifelong partner that has her full loyalty to you. These wonderful ladies do not only commit themselves to loving you but also to the family and life that you will build together. 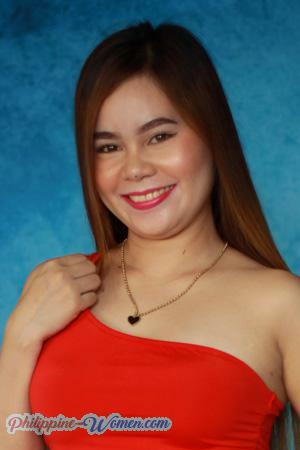 This promising future with single Filipina ladies entirely roots from the best qualities that they possess. What are these said characteristics we are talking about? While it’s not a ‘one size fits all’ kind of description, majority of single Filipina girls truly have these wonderful personalities. 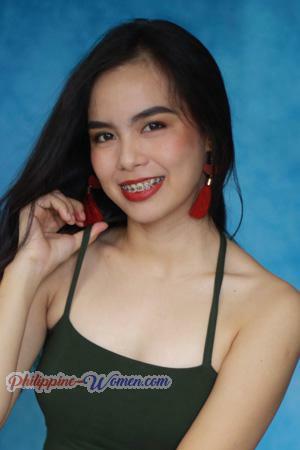 Gorgeous and Smart - As mentioned above, Filipinas are uniquely good looking. However, they are not only gorgeous on the outside but also on the inside. They are kind-hearted and are genuinely concerned with the people they love. Their smart minds are likewise something to adore as well. They have a good sense of humor and are well-educated. Having a conversation with them will definitely be something you will enjoy. Strong Family Values - Filipinos are traditionally family-oriented particularly the ladies. Single Philippine women have a very soft spot for their parents, siblings, and elders. They put their family’s welfare above everything else. Imagine the dedication your Philippine bride would put in taking care of your very own family. 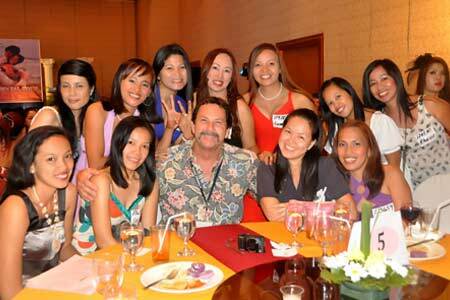 Tour clients are able to know more about the great qualities of the Philippine women through our socials. Practical and Good at Finances - Unlike others, Filipinas can handle money matters better. They have a practical personality and dislikes spending money on unnecessary things. This is because most Filipinos grew up in a very hard working community where budget is highly-important. You can trust that these ladies would properly handle the finances of your home after you get married. Committed and Submissive - Philippine brides who have tied the knot with you will forever be by your side. They are there through good and bad, regardless of whatever the circumstance is. They will submit themselves to you and will live by the commitment they make during your union. Being raised in a patriarchal environment, these ladies will let you take the lead in your marriage. However, they will also want to be treated fairly as your significant others. Loves the Idea of Motherhood - Above all, Filipinas are mostly eager to become mothers. From their childhood, they are taught a variety of ideals and principles that help shape them to become great mothers. Filipinas will even give up their careers to become full-time mothers in a heartbeat. Why Philippine women? With numerous ladies out there, what makes Philippine brides different from other ladies of the modern world? Take a look at this quick comparison that will make you want to have a Filipina woman seeking marriage more. Ready to Build a Family - Philippine women marry to build a family. It’s that plain and simple. Once they choose to say yes to your proposal, this means that they are really imagining a future with you. They will put aside their career, their plans, and anything else for the sake of your marriage. This alone makes a good answer as to why Filipina Girls for Marriage make the best brides. Prefers Intimate Ceremonies - These ladies break the stigma in marrying foreign brides. While most Filipino celebrations are very festive and involve a lot of guests, Filipina brides still prefer having intimate ceremonies for your wedding. They value the actual exchange of “I Do’s” rather than the photos and videos that are taken on that day. Age is Just a Number - The most outstanding difference between Philippine women for marriage and other western brides is that Filipinas do not mind marrying older men. 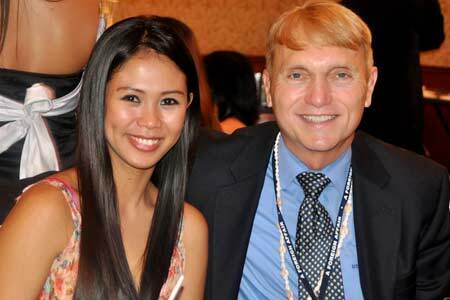 While most western ladies frown upon men who are older than them, Filipinas actually admire them. This is because these men offer more stability for them and are more mature to handle a serious commitment in marriage. You, Her, and Her Family - Perhaps the most admirable quality of Filipina girls also makes the biggest disadvantage on the reason of marrying them. Based on their culture, tying the knot with a woman from the Philippines would also mean tying the knot with her family. A lot of the biggest decisions in your life are influenced by her family. On the brighter side, this also means that no matter what happens, you are sure to have a family to count on through ups and downs. 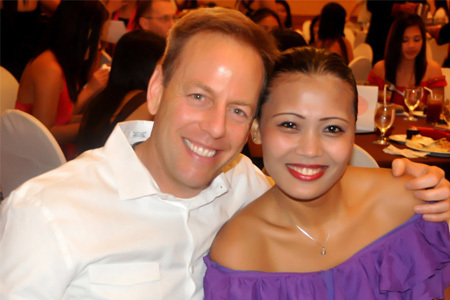 Tour clients are able to find their Filipina bride through our romance tours. Kids are Subject to Debate - Western women are not too keen on having children. They see kids as a long-term obligation that would hinder them from pursuing a far better career after marriage. If you intend to start a family soon after your marriage, then these ladies might not be the most ideal for you. Big Lavish Weddings - Most western weddings are very luxurious. From engagement parties, rehearsals, to the actual wedding itself, everything costs a lot. If you are more into small gatherings and intimate weddings, Philippine brides might be more appealing. Prefers Men of the Same Age - As mentioned, westerners are more into men of the same age. They like partners who can be as outgoing and spontaneous as they are. This is one of the reasons why many westerners choose to live together without marrying each other. There are several unique wedding traditions that are very common in the Philippine marriage culture. You would want to familiarize yourself with the following before you finally seal the deal with your Filipina bride. Traditional Marriage Proposal: Pamamanhikan - Aside from your initial proposal to your soon-to-be bride, you also have to meet her parents and ask them for her in marriage. This is called the “pamamanhikan” act. Traditionally, you have to bring your parents so they too can meet her family. 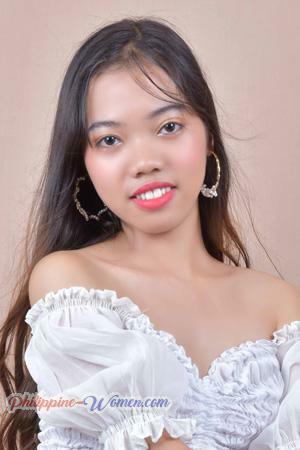 During this time, you are to discuss your plans for the wedding, the date, and what your intentions are in marrying Filipina Girls for Marriage. Wedding Announcement Visitations: Pa-Alam - After settling the proposal with her parents, your next step is informing her relatives. You have to personally visit her aunts, uncles, even her grandparents to announce your impending nuptials. Some couples also use this time to give out the wedding invitations in person. Groom’s Family Shoulder All Wedding Expenses - Traditionally, you and your family are paying for the wedding expenses. Because Filipino weddings do not really require a dowry, shouldering the wedding costs will show that you are financially capable of supporting your future bride and your family. Despedida de Soltera Party - This party marks the end of yours and her singlehood. This is highly-similar to a bridal shower and stag party in American culture. Wedding Sponsors are Influenced by Families - Don’t be surprised when her parents start appointing people to become your wedding sponsors. They do not necessarily sponsor any expense but rather they stand as the principal witnesses on your wedding day. In Catholic weddings, you have principal sponsors as well as secondary sponsors. Groom and Bride Cannot See Each Other - The night before the wedding, you and your fiance are not allowed to see each other anymore, let alone perform any sexual acts. Superstitiously speaking, Filipinos who see each other prematurely will bring bad luck for the rest of their married life. Catholic Filipino Weddings: Rings, Arrhae, Candles, Veil, and Cord - If your bride is a Catholic, you can expect for the ceremony to have many symbolic objects. Aside from the rings that you will exchange, you will also be giving her 13 pieces of arrhae (coins). Aside from that, your secondary sponsors will light two candles for you, put a veil around you both as well as a cord. These all symbolize a prosperous union between you and your Filipina bride. Money Dance During the Wedding Reception - During the wedding celebration, you and your now wife will be dancing in the middle of the room. Your guests are expected to pin money on your clothes as you continue striding. This is called the money dance. It is said that doing this will bring you and your wife good luck in terms of finances during your marriage. Philippine Women Take Their Husband’s Family Name - Last but not the least, after you are officially wed to your bride, she will now use your surname on all her official or legal documents. This is a very common practice for Filipinos as this symbolizes their complete submission to you. This shows that you and her are finally one. All things considered, from her appearance to her commitment to your marriage, Filipinas really do make great wives. Get in touch with us, the Best Filipina marriage agency, to find your very own bride from the Philippines.